the first thing that I’d like to do … is buy several cases and hide them under my bed! This little hint has turned into a real time saver. Every so often, I slow-cook up a roasting pan full of venison and/or wild pork (Check out how to do it in my entry, “Come and Take It”). 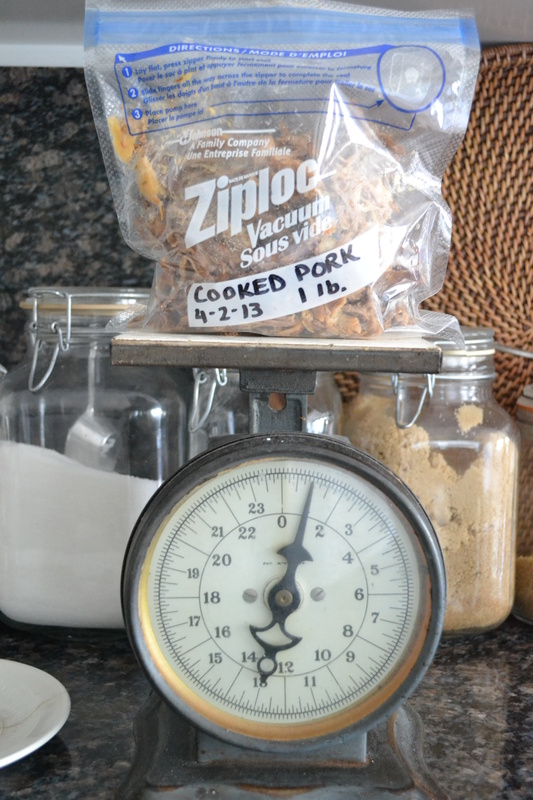 About a week ago, I cooked up about 10 pounds of wild pork. I divided it into one-pound portions, bagged it up, and froze it. Most of my recipes use about a pound of meat. 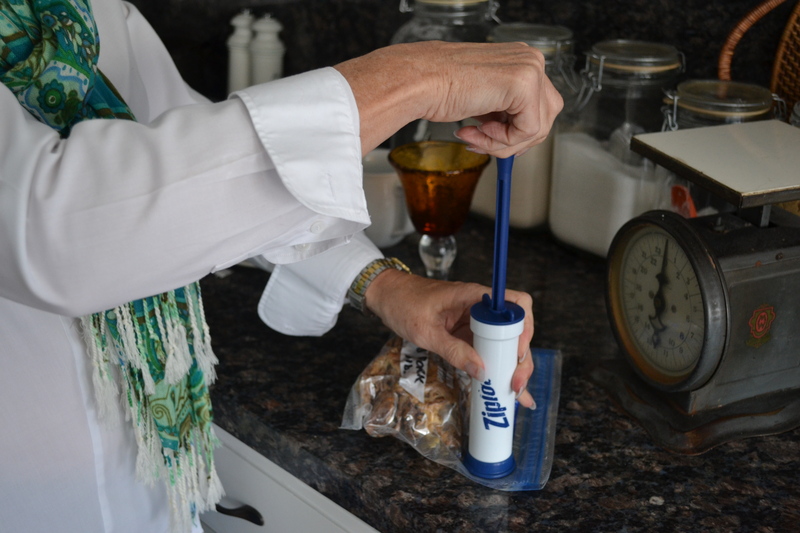 This little gadget is so much faster than pulling out the vacuum-sealer. The special bags are available in two sizes. I always stock up right before hunting season. As I cook up meat later in the year, however, I also use these bags for packaging up portions of cooked meat for recipes such as Wild Pork and Guinness Stew, Enchiladas with Creamy Poblano Sauce, Pulled Pork Sandwiches, Venison Pot Pie, and many others. 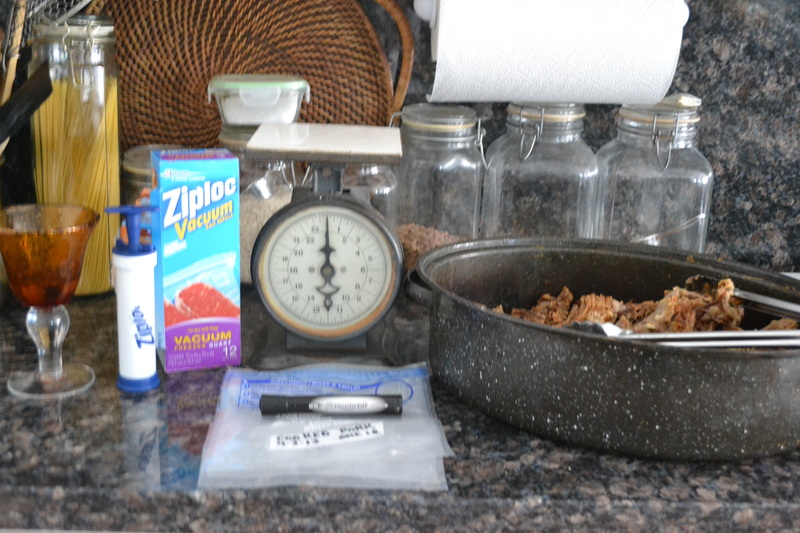 It’s so easy to thaw out a bag of meat in a bowl of water while I grab the other ingredients. Hope this saves you some time, too.